There's no need to go big and bulky when you layer for the mountain. The Mountain Force Men's Grid Turtleneck Mid-Layer has a low-profile shape that fits close to your body, allowing you unrestricted comfort and mobility beneath your ski shell. 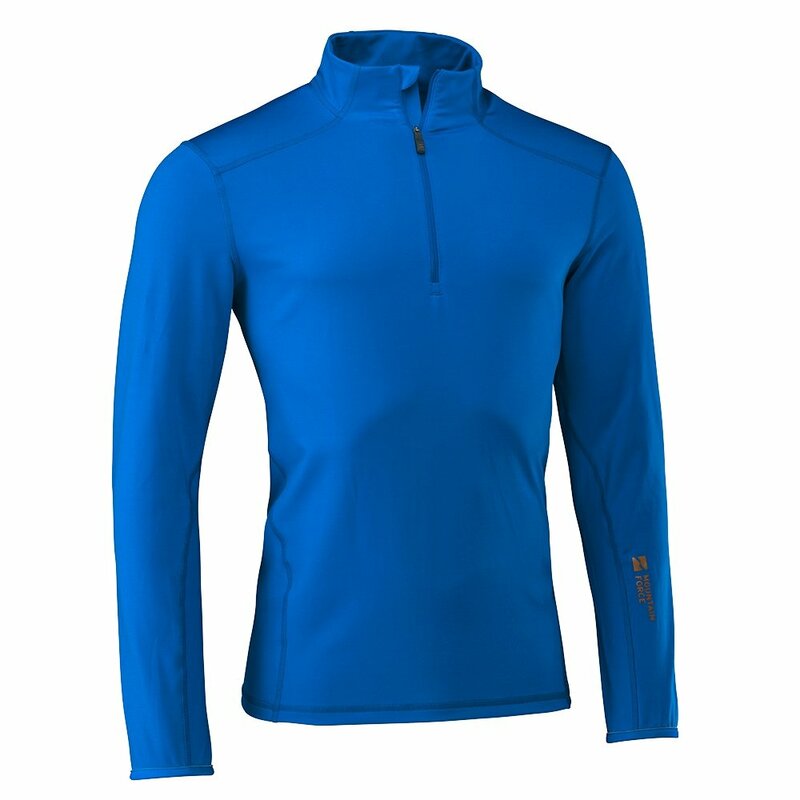 Made with a blend of polyester and elastane yarns, this men's ski mid layer flexes with your body for ease of movement. And when you sweat, this top pulls moisture off your skin to keep you feeling dry, even after an active day on the slopes. The Grid Shirt has a half-zip neckline for easy on and off, plus it's brushed on the inside, providing a warm, soft feel. Good quality product from Mountain Force. Get one size up, as this brend fits on smaller side, more like true European.